There's a lot I'm still working through, so it might be a couple more weeks before a new recipe gets posted, but I do have several lined up for the cold weather months (stews, chilis, new desserts... the wait will definitely be worth it!). I did want to bring this one back to life, so to speak, as it's one that got lost in the Great URL Debacle of 2015. I share it every year around this time on Instagram, but it's more fun with a full recipe to refer to. 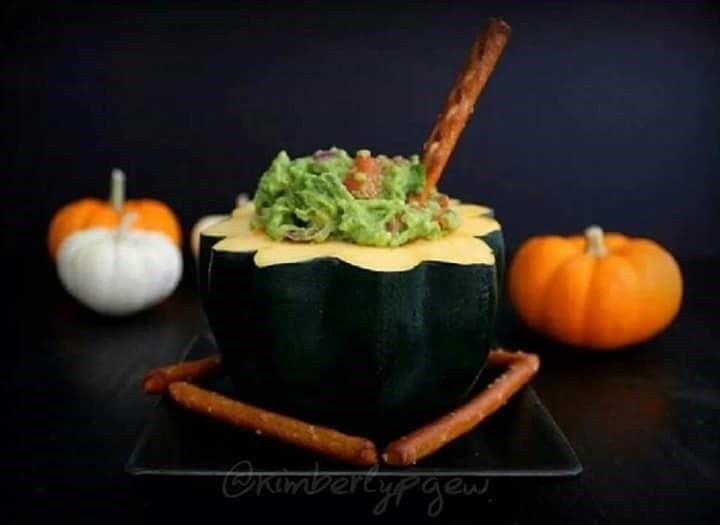 Some of you may have already celebrated Halloween over the weekend, but for you Halloween purists, you still have time go grab some avocados and a squash to make this happen for tomorrow's festivities. The original post date for this one was back in October of 2012, so this is another classic post! 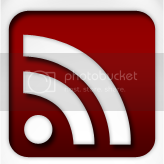 Please enjoy, and thank you for your continued patience with new posts remaining on hold. Juggling the new job and all the safety/personal issues stemming from the attack takes up most of my time, but I'm getting closer to having more available mind space to devote to my baby blog, so I'm looking forward to that. Don't forget that I do post regularly on social media, and there are the batch posts of lost recipes that will help fill in a lot of those gaps, so there's plenty to check out in the meantime. Enjoy! Before I bombard you with a deluge of new egg recipes (I've been on an egg kick again, lol), I thought I'd share something fun for this Halloween's upcoming festivities. Halloween is one of my top three holidays of the year, and while the past couple years have been a bit underwhelming on the getting-to-do-stuff side, that doesn't mean I don't have fun with my food. Last year my mom and I had a great time creating little ghoulish desserts for a contest, complete with royal icing headstones, frightened black cats and the whole nine yards. But I feel like there are tons of scary cupcakes, devilish desserts, and frightening drinks galore, yet lately, a lot of Halloween-themed savory foods seem to be limited to mummies. Not that I mind mummies (in fact that's what I plan to turn my nails into as soon as I'm done with this post; I love DIY nail art! ), but I think witches and ghouls should get in on the action, too. Perhaps it's because I've been catching up on so many Ghost Adventures and Ghost Hunters International episodes courtesy of the internet; or maybe it's because this is the first year in my life that I've actually considered dressing as a witch for Halloween. Either way, I'm just feeling particularly witchy this season, and I wanted to share some witchy fun with all of you. So there it is, my little contribution to culinary Halloween fun. Using fresh, homemade guacamole and a nice acorn squash, this is perfect for any parties you might be having this weekend, or on the day of the blessed event. It's cute without being overly scary or gross, and you can always recycle the squash for other dishes, like my quinoa-stuffed acorn squash, or my Butternut-Leek Bisque. While this is Photo Friday, I'll still throw the method & recipe in here for you guys, so you don't have to keep going to different pages on the site (but if you're looking for other PGEW guac ideas, simply click here, or here). Since squash sizes and appetites for guacamole vary quite a bit, I will not include price information for this one, as it will depend on how many folks you plan to serve and how quickly they'll eat this. However, many stores in my area seem to be offering some killer deals on guac-ready avocados, and squash is in season BIG time right now, so you should be able to make this without dipping too far into your pocketbook. I used five avocados that I scored at Food Source for just $0.69/each, and ended up with a good pint or more of fresh guacamole. I was only able to find the perfect squash "cauldron" at the Co-op, but it was still only about $2, since they have all the glorious squashes on sale right now. When all was said and done, my awesome little appetizer cost just over $6. And as I mentioned before, the squash can be recycled for another meal, so you can stretch out that grocery dollar quite well with this one! 1) Prepare the guacamole. Cut, peel and seed the avocados, and place in a large bowl. Mash them roughly with a fork, then add the chopped onions, tomatoes, cilantro, Key lime juice and salt. Mix well, continuing to mash the avocados as you go along, without over-mashing them (you want this to have some texture). 2) Carefully cut about 1"-2" off the bottom of the acorn squash, so that it has a flat base. Cut the top 2"-3" of the squash and carefully remove the seeds. Fill the center of the squash with guacamole, filling it past the brim so that it appears to "bubble over". 3) Arrange 4-6 pretzel sticks on the bottom of your plate to form the "kindling" (it's okay if they don't overlap like real kindling, as your "cauldron" will tend to topple over if you do). Place the cauldron atop the kindling, then place one pretzel stick inside the guacamole for "stirring" purposes. Serve with extra pretzels or tortilla chips, and enjoy!